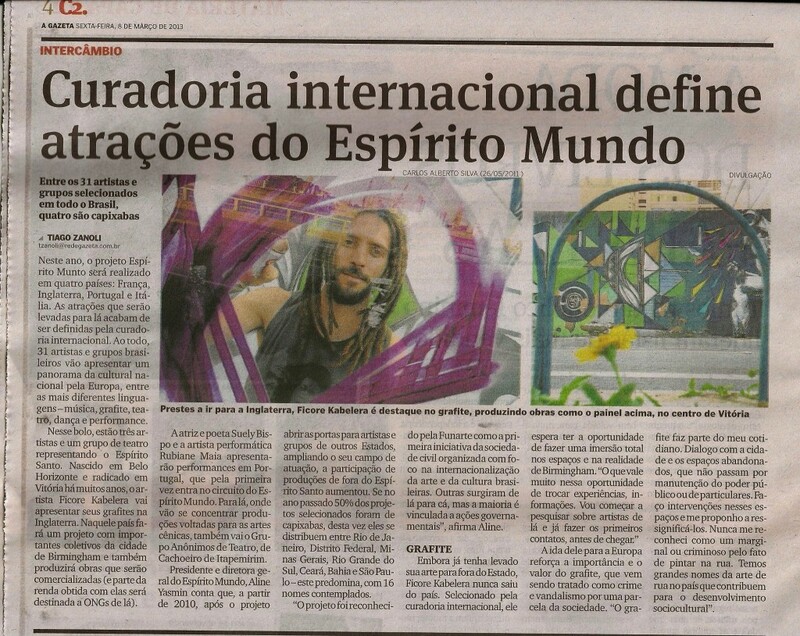 This is pretty exciting Over in Vitoria, capital of Espirito Santo on the coast of Brazil, from where our partner production company Instituto Quorum organise Espirito Mundo , state newspaper A Gazeta just announced that Italy and Portugal will be joining France and the UK this year as part of the Espirito Mundo circuit. Here in UK, it happens in Birmingham, haha as you may know! 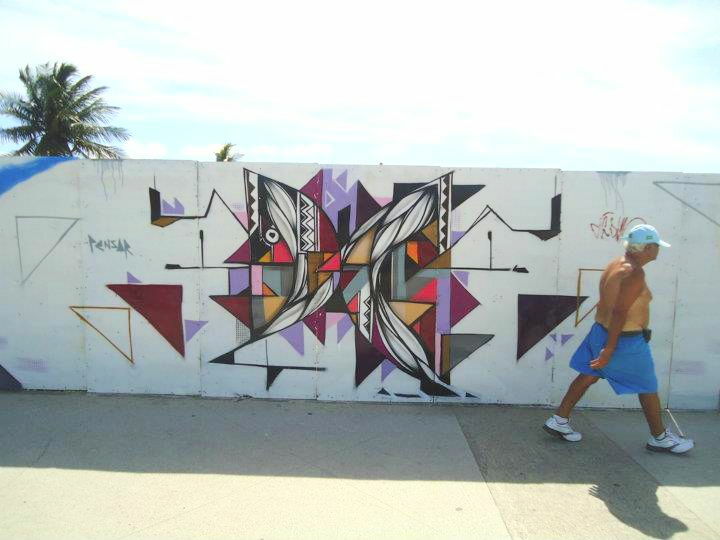 The article talks about this existing relationship, graffiti artist Ficore talks of his plans to “share experiences and information” with the artists and communities he’ll meet during his residency in the city this summer. Behind the scenes, plans are well under way for the cultural exchange to show its face again in our fair city, for the third time around. Events will be happening between June and August, this year the hub is Kings Heath. For now, here’s a beautiful piece from Ficore, who will be leaving Brazil for the first time to share new perspectives, paint brushes and lifestyles with us lot here in Birmingham.